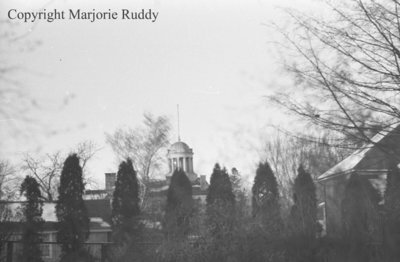 Black and white negative of the dome on the Ontario County Courthouse in Whitby, Ontario. View was taking from a distance. Large trees are visible in the foreground. Ontario County Courthouse Dome, January 1938, Marjorie Ruddy. Whitby Archives A2013_040_966B.